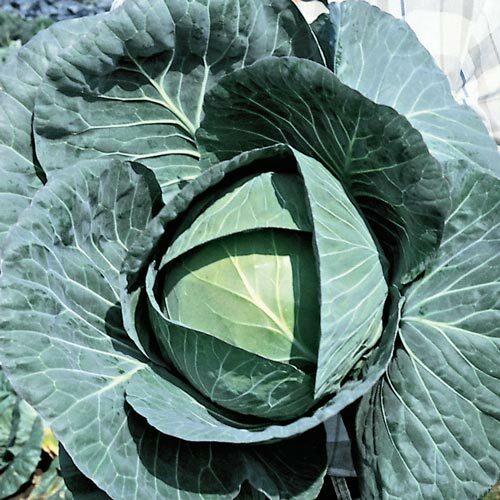 Bravo Hybrid Cabbage | Gurney's Seed & Nursery Co. Adapted to Southern growing conditions. Outstanding field performance; can be grown for winter harvest in Deep South (USDA zone 9), but produces beautiful summer heads throughout the South. Resists Fusarium and black rot diseases. Large head size. Widely adapted; on Agriculture Extension Service recommended list of nine southern states. 85 DAYS. Seed Counts: One packet of seeds contains about 100 seeds and sows a 50-ft. row. CommentsOutstanding field performance; can be grown for winter harvest in Deep South (USDA zone 9), but produces beautiful summer heads throughout the South. Resists Fusarium and black rot diseases. Large head size. Widely adapted; on Agriculture Extension Service recommended list of nine southern states.